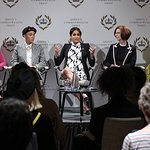 Actress Meghan Markle says her passion for helping the poor began in childhood and was nurtured by both of her parents. Now, as World Vision Canada's global ambassador, her trips to far flung places such as villages in Rwanda have shown her the knock-on effects that water scarcity has on individuals’ future potential. Take, for example, little Florence, whom Markle met in a village outside of Kigali. The 13-year-old girl walks hours every day to fetch water for her family. 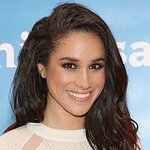 Markle, however, found inspiration when she visited Gashoro, another village in Rwanda, which was already supplied by a World Vision well. According to World Vision’s website worldwide in 2015 World Vision improved water access to 2.3 million people, and reached four new schools every day with clean water, sanitation and hygiene.